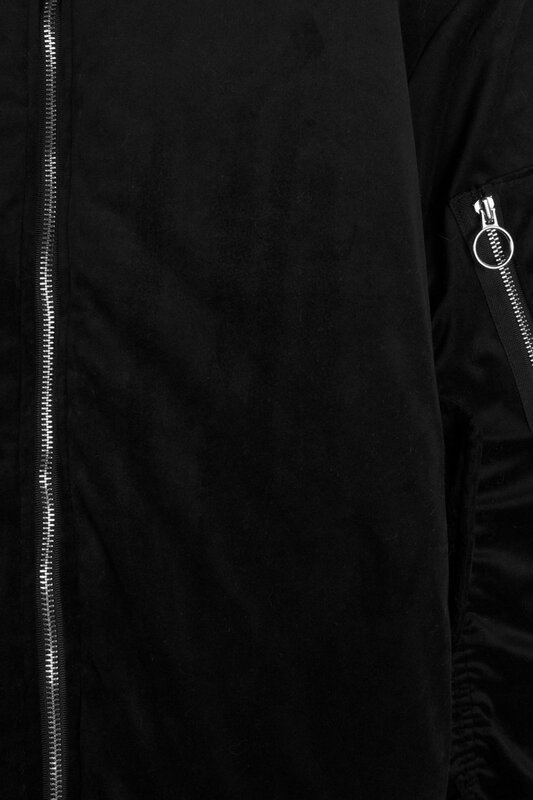 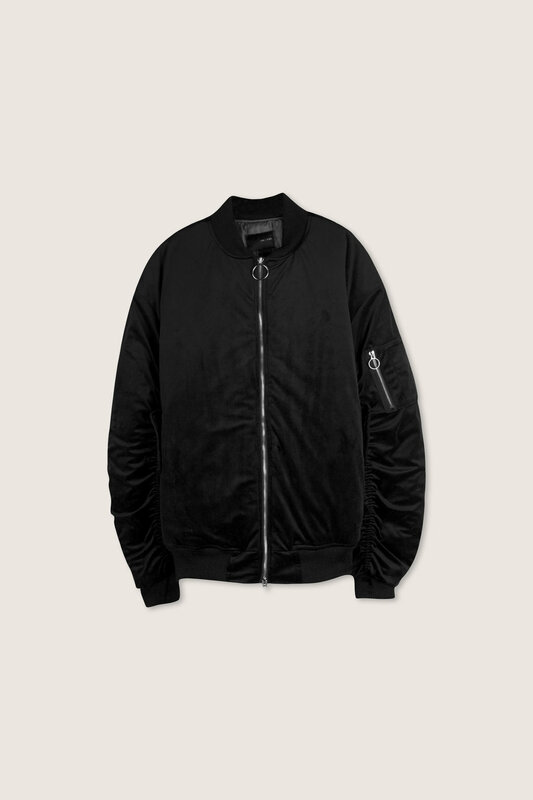 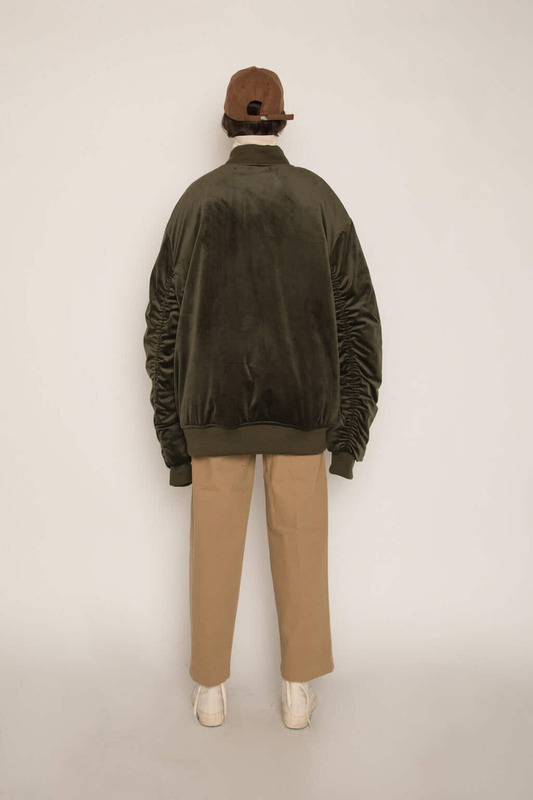 This redefined bomber jacket is cut from a soft velvet-like fabric that is fully padded for warmth. 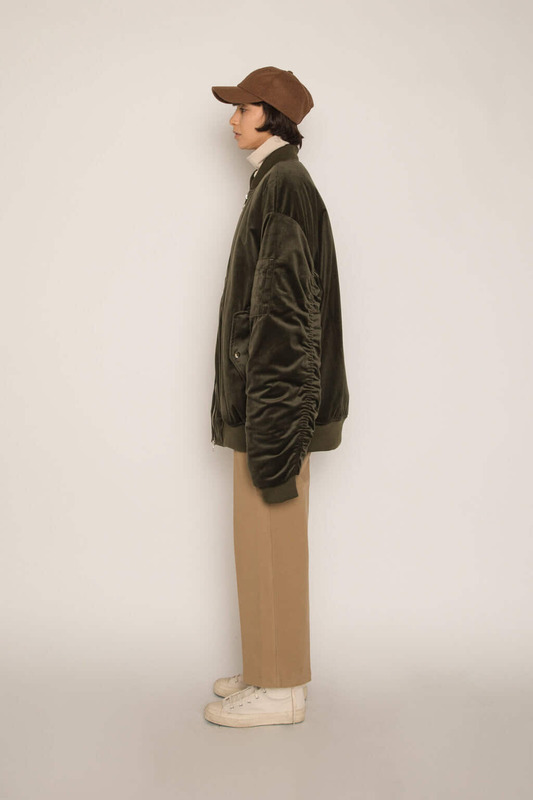 The ruching detail on the sleeves adds a modern update to the classic style. 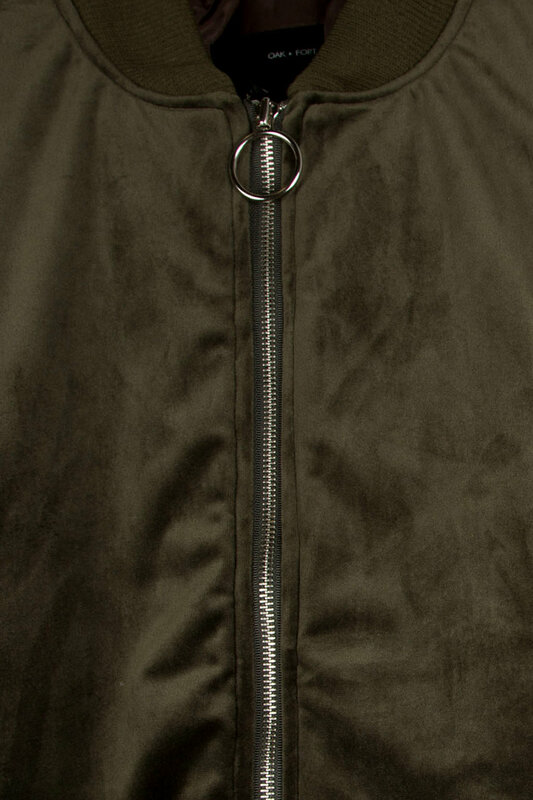 Featuring side flap pockets, a zipped sleeve pocket and contrasting ribbed trims, this jacket has a cool utilitarian vibe that is easy to style. 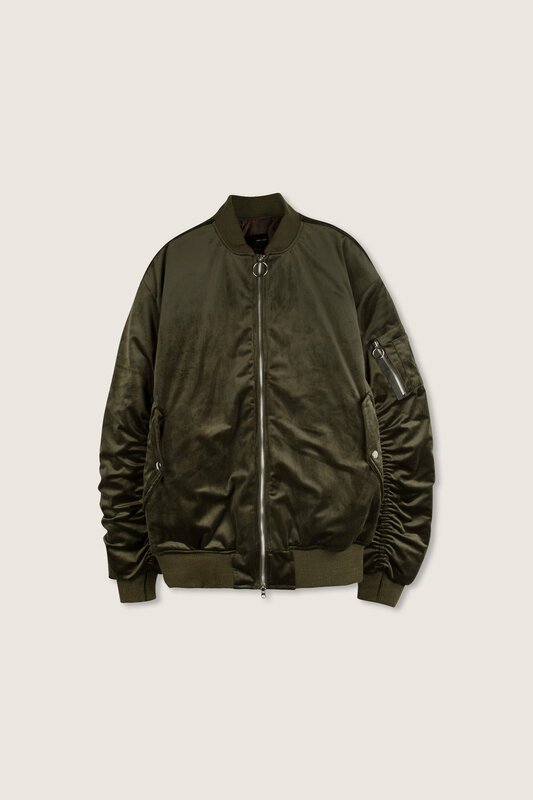 Try styling this with a pair of blue jeans and black sneakers for an updated casual look.